A sixteenth-century manuscript which contains some of Ireland’s oldest surviving literature and legislation will be discussed at a two-day seminar in Dublin next month. The Book of Ballycummin, held by the Royal Irish Academy (RIA) since the 1850s, preserves “legal texts, poetry and wisdom literature from early medieval Ireland”. 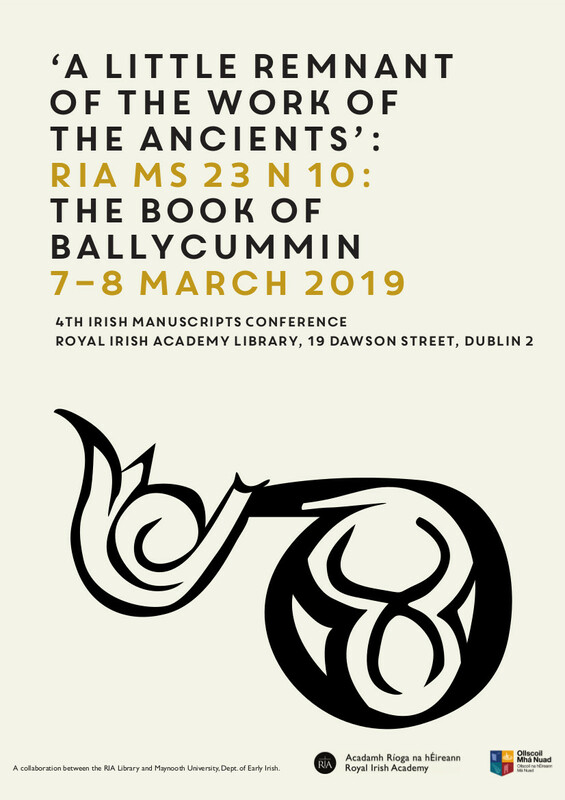 It will be the subject of the RIA Library’s 4th Irish Manuscripts Conference, taking place on 7-8 March 2019. Professor Liam Breatnach, a linguist who specialises in early Irish law, will address the conference on the legal texts within the manuscript. Tickets for the event are available via EventBrite.